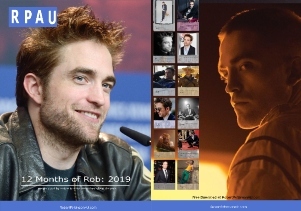 Here we are again heading into our 10th year of celebrating Rob’s fabulous career and 2018 is certainly kicking off where 2017 hopefully left off. The world premiere of Damsel at Sundance in a few weeks, potential recognition for Rob’s performance in Good Time (I’m still holding out hope), High Life at Cannes or according to The Playlist possibly Venice and a couple of films in the pipeline. The big question is what will be Rob’s next film – will it be The Devil All the Time with Antonio Campos or Oliver Assayas Idol’s Eye (having found new financiers). Joanna Hogg’s The Souvenir 2 is rumoured to be filming in the Summer and Waiting for the Barbarians with Ciro Guerra is waiting in the wings (sorry for the lame pun). Of course I’m sure Rob has more up his sleeve too which means exciting times ahead. 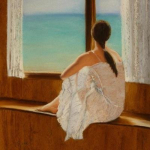 I wrapped up the first 6 Months in Review in July, so I won’t repeat it here, but I did finish off by saying there’s so much to come in the next 6 months – if only I had an inkling then of really how much was ahead. In the 9 years we have been running RPAustralia, this was by far one of the busiest times post Twilight and definitely a career high for Rob. In fact, for the first time, I’m going to split the 12 Months in Review into individual months because Rob certainly kept us busy in the second half of 2017. Rob started off the month by surprising us with an appearance during Paris Fashion Week at Christian Dior, Couturier du Reve Exhibition Launch. I think he may have surprised himself too because I doubt he ever thought he would be photographed with the French First Lady. Good Time: We found out it was to have its North American premiere at Fantasia Film Festival, Montreal. Rob certainly didn’t disappoint during the press junket, press conference and red carpet. Rob then turned up in New York for a special members screening followed by a Q&A at the Museum of Moving Images in Astoria, Queens. Add to that appearances on Howard Stern Show Siriusxm and CBS Sunday Morning – July was definitely setting the pace. Rob also attended Q&As at Film Comment in NYC and Filmmaker Forum at the Alamo Drafthouse in San Francisco which also gave us a press junket. High Life: Juliette Binoche joined Rob and replaced Patricia Arquette which meant – it really was starting to come together for filming. Photoshoots: Thanks to all the hype from Good Time some of Rob’s photographers came out of the woodworks and treated us to some old shots that they had taken but had previously been unseen – yes I’m talking about you Danielle Levitt and Victoria Stevens. Filming: We were also teased us with Rob filming on the streets of New York – what was he doing, is this a new film? We were all pondering but it wasn’t going to take us long to find out. Good Time: Promo was in full swing. The month started with a real bonus, Rob reading from Disguise Techniques which I think is one of, if not, THE best promos he’s ever done for a film. Rob attended the New York premiere and presented the film in LA to members of The Academy of Motion Pictures Arts and Sciences, The Cinefamily, SAG-AFTRA and a Q&A at KRCW|Arclight Hollywood. Rob was back in NYC for more Q&As at Buildseries, Times Talk, AMC Loews Lincoln Square & Regal Union Square. Rob also attended a special screening of One Year in A Life of Crime at MetrographNYC which was a film that influenced the Safdies. 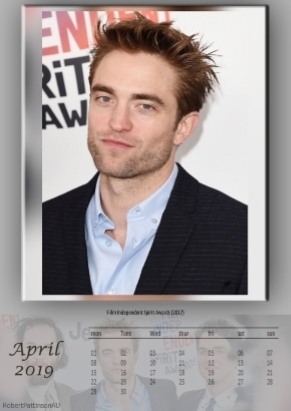 We were also treated to a plethora of interviews thanks to LA and New York press junkets where we also found out how Rob stayed unrecognisable in New York during filming, Rob’s love of film, which we already knew about, but more importantly directors he was proposing to work with and future films. We had TV appearances on Jimmy Kimmel Live, Charlie Rose Show, The Late Show with Stephen Colbert and Good Morning America. And who can forget the hoopla that happened after Rob’s dog story on Kimmel. For the first time ever Rob released a statement about the fact that the dog story was a joke – clearly we all knew about Rob’s ability to tell tall tales. Let’s not forget how many BTS photos and footage we were treated to – remember those young Connie Nikas mugshots. 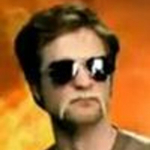 Also August gave us Rob’s first foray in a Reddit AMA. Pure gold. Awards: Scott Feinberg chatted with Rob for THR’s Awards Chatter – I guess we should have realised what the next few months might bring. Photoshoots: Teasing seemed to be the norm by this stage, and we were with some new photos of Rob taken at The Bowery Hotel in New York. Photographer Dustin Cohen also treated us to some new snaps on his social media and another new shoot for GQ Magazine. In addition to the shoot, GQ Magazine also gave us Rob’s now infamous short film Fear & Fame and the quest for a hotdog. High Life: Andre Benjamin had joined cast and the September/October filming looked more promising. Juliette finished off the month by teasing us with a pic of Rob in his new bedroom. Damsel: Nathan & David Zellner joined Rob as cast mates. Dior: “What Would You Do For Love” #DiorLoveChain video was a very welcomed surprise. Well not really surprised that Dior used Rob, just that it was an unexpected treat. Photoshoots: One of the best starts to a month is definitely a new photoshoot and interview and LeMonde did not disappoint. Neither did W Mag, Esquire UK, GQ France and the very unique Wonderland which as Suze mentioned, was at the opposite end of the spectrum to the new classic Dior Homme Spring 2018 campaign that followed. Good Time: Rob attended Deauville Film Festival to present the film. We finally saw Iggy Pop’s Pure and the Damned video which starred Rob as Connie Nikas. Again, we were treated to more new interviews and the film would be at even more film festivals. High Life: We had confirmation that Rob was in Cologne for High Life thanks to Il Cancello Restaurant Cologne sharing a happy snap. New Projects: Antonio Campos’s “The Devil All The Time” was added to Rob’s projects in development on IMDbPro. This film has to be made, it’s one of my favourite books. Awards: September started with Rob receiving a special achievement award celebrating his career at Deauville and ended with finding out that Rob would be awarded with the Maverick Award at SCAD. Amazon Studios would also be launching an Oscar campaign for The Lost City of Z which included a Best Actor in Supporting Role for Rob. Good Time: Rob attended the post screening Q&A at Cologne Film Festival. He followed up that appearance with the UK premiere at the London Film Festival. Whilst in London he also attended a press junket at Global Radio Studios. Events: Also whilst in London Rob attended the Academy’s New Members Party. High Life: Juliette Binoche sure knew how to tease us with another happy snap of the cast. We also had Rob photographed with ESA’s Thomas Pesquet and Russia’s cosmonaut – Sergei Valerievich. Claire Denis also mentioned to The Daily Beast something we all knew – Rob’s allure is undeniable. Sing it sister! Awards: The IFP 27th Annual Gotham Independent Film Awards released their nominees and Rob picked up a “Best Actor” nomination. We of course found out in November that he didn’t win, but I’m chuffed he’s being nominated. No doubt Rob is too. Photoshoots: October closed off with Brent Lavett sharing a new photo of Rob getting a buzz cut once Good Time filming had been completed. Photoshoots: It’s always a feast when a month starts with outtakes and we can thank GQ France for that. The Hollywood Reporter teased us with some new shots. Again, we wouldn’t wait long to find out what that was all about. Another new shoot by Andy Parsons for TimeOut London also emerged. Good Time: Print and video interviews kept on coming and Rob was back on the cover of Sight & Sound magazine. He also attended a Q&A at SCAD Savannah Film Festival. I thought by now the appearances would have tapered off but that wasn’t to be. Rob was still “Having a Good Time” at the Vulture Festival LA, surprising Athenians with his appearance at the premiere of Good Time in Greece (no doubt as a thank you to the financing duo of Terry Dougas and Paris Latsis-Kasidokostas) and finished off the month by attending a Q&A at the Lisbon Sintra Film Festival. In fact, November confirmed why Good Time was included in competition in Cannes – Thierry Fremaux confirmed that Rob was the one who convinced him to “be bolder and screen Good Time in competition”. Rob’s a little mover and shaker that’s for sure. Damsel: We found out that Samuel Alabaster was our cowboy. The Octopus Project confirmed that the Damsel soundtrack was almost complete which had us convinced that the film might premiere at Sundance and by the end of the month we knew we were right as the premiere at Sundance was finally announced. We also had our first official look at Samuel. Awards: Rob picked up his “Maverick” award at SCAD. A24 launched “For Your Consideration Oscar campaign for Good Time – Rob gets another Best Actor chance and Rob was again nominated for Best Actor at the Independent Spirit Awards and the Satellite Awards. High Life: Claire Denis told THR why Rob was perfect for the film – which we can’t dispute because Rob’s perfect for every role. Thanks to a cast photo we know that filming was now complete. Events: More print and video interviews including Rob with Jamie Bell for Variety’s Actor on Actor’s which turned out to be what the photoshoot THR teased us about. A24 held a party for the stars of their films and Brooklynn Prince was one lucky little lady. Rob was definitely in an awards party mood when he was also at a birthday party with Rhianna’s creative director at the Chateau Marmont and the 9th Annual Governor’s Ball held by the Academy of Arts & Sciences. This was followed up by an appearance at the AFI Indie Contenders Panel. We were surprised to find out that Rob was a co-chair at the inaugural Fred Hollows Foundation Gala in LA, a project dear to Joel Edgerton. Had me hoping Rob was definitely involved in a project Joel and David Michôd are working on called KING. Time will tell I guess. Of course Rob attended the 10th Annual GO Campaign Gala Dinner and Rob wasn’t finished yet with his appearances turning up to the Lisbon Sintra Film Festival for a Q&A for a special screening of Cosmopolis and ending off the month with the Gotham Awards (where he didn’t win, but it was still fabulous that he was nominated) and a surprise appearance with Josh Safdie on Celebrity Row at the Knicks game at Madison Square Garden. New projects: Rob confirmed that Waiting for the Barbarians was his Ciro Guerra project and it soon turned up on his IMDbPro “projects in development”. 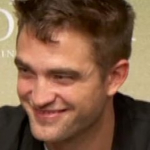 The Irish Times was told by Rob that he’s really started to enjoy acting. That’s good to hear Rob. By December, I was ready for a huge nap. Not sure how Rob kept up the space of the past 6 months, but keep it up he did. I guess popping that champagne cork right on 31 December 2017 thanks to W Mag showed us exactly the year Rob had. New Projects: December kicked off with us finding out that Rob would be playing Colonel Joll in Waiting for the Barbarians. It also looks like Idol’s Eye might be back on track with new financiers Charities: Rob’s charitable self was now involved in another project – this time the Turtle Convservancy. We’re staying tuned because there’s apparently more coming. Good Time: Rob clearly wasn’t done with promoting the film and turned up to the MOMA screening + Q&A in New York with the Safdies and OPN. Not to mention in the final days IndieWire released their interview with Rob as part of their Awards Spotlight. 2017 sure was a brilliant year for Rob. Events: We finally had the full Variety Actor on Actor’s video between Rob and Jamie Bell. December treated us to the most amazing audio – Rob reciting James Wrights Poem “Sitting in a hammock at William Duffy’s Farm in Pine Island, Minnesota. sigh When Rob’s not reciting poetry he’s apparently practicing Jiu-Jitsu. Rob never ceases to amaze. Which again he proved by featuring in the “I Won’t Be Silent” video against sexual assault. Meanwhile back to the party circuit – Rob turned up to Kris Van Assche’s Dior Private Dinner and the GQ Men of the Year at the Chateau Marmont, not to mention the Hostiles Premiere After Party where I was ever hopeful of Rob being photographed with Christian Bale (even though I wasn’t sure Christian even attended). One last appearance before he hung up his promotion boots – this time THR’s inaugural Live Roundtable. December gave us another surprise although this is only included because that’s when the photo surfaced – Rob was photographed with Noomi Rapace as part of the promotion for NCP Olfactives “The Piece” which Noomi promotes. Awards: There’s even more award nominations for Rob. The Lost City of Z: Just a few last minute appearances before the year ends off – this time at a screening and Q&A for the Producers Guild as part of Amazon’s push for an Oscar campaign. Photoshoots: With so many photoshoots this year, December couldn’t be left out and so Deadline treated us to a new one. High Life: We ended off the month with Lars Eidinger sharing a new photo with Rob during High Life filming. DAMSEL: But the best surprise was the new Sundance sales poster for Damsel – Rob on a horse – need I say more. I know I’ve mentioned Oscar nominations, and let’s be honest – it’s a slim if not buckley’s chance, but it was still good to see random tweets from people who were miffed Rob wasn’t nominated for a Golden Globe. Rob is proof that hard work pays off. Also, I’ve commented above about print and video interviews each month, if you want to check out a more comprehensive post of them head on over to our Good Time Events master post HERE since with the amount of work Rob’s done in the last 6 months of 2017 I’ve probably missed something. You can also check out all the events HERE and previous The Year That Was HERE. Wishing Rob another stellar year in 2018. Here’s 2017 in pictures. OMG – now you’re REALLY spoiling us Maria. I’ll need a few hours to properly appreciate this post alone! I do love the champagne popping gif! So many highlights of 2017! What an absolute feast of a year it was and a huge THANK YOU to Maria and Suze for keeping on top of it all!